Siesta Key’s pristine white stretches of sand and tranquil blue waters are exactly what has drawn so many tourists to head to the eight-mile barrier island each year. While in this island paradise, vacationers do not have to settle for just one beach. Siesta Key has an entire triumvirate of beaches, namely Siesta Key Public Beach, Crescent Beach and Turtle Beach. The most popular of the three beaches in Siesta Key is Siesta Key Public Beach. In 2011, Dr. Beach proclaimed this stretch of sand as no.1 in his List of Top 10 Best Beaches. And even he agrees that the whitest and finest sand in the world can be found in Siesta Key Public Beach. But aside from the sand and water quality, the amenities offered in this beach also have a lot to do with its popularity. Aside from the lifeguard on duty, the beach’s other features include volleyball courts, concession stands, shaded picnic areas, and public showers and restrooms. The two other beaches in Siesta Key might not be as famous as Siesta Key Public Beach but they also have their own charms which allowed them to have their own fans. For instance, Turtle Beach is best known for shelling and the tranquility of the area. 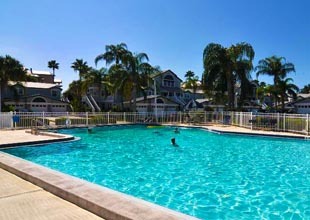 Crescent Beach provides privacy to its guests as well and has more amenities than Turtle Beach. Aside from that, Crescent Beach is linked to a known diving site in the gulf. The name of the said diving site is Point of Rocks and is a coral formation which is inhabited by various species of tropical fishes. 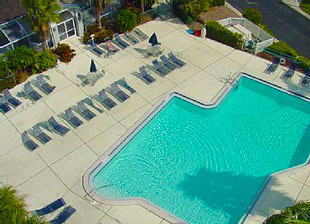 Located just a few minutes away from Crescent Beach is Gulf and Bay Club Bayside at 1200 Siesta Bayside Drive. This property is a favorite among Siesta Key real estate buyers due to its strategic location and excellent rental potential. The units found in this property are designed to look like Key West townhouses. There are a total of 101 residences in this property which was built way back in 1988. 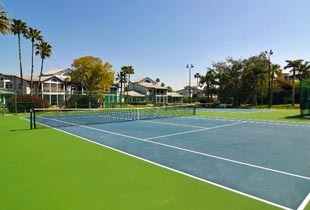 Unlike other Siesta Key condos for sale, Gulf and Bay Club Bayside is jam-packed with amenities including two swimming pools, two tennis courts, a fully-equipped fitness center, sauna and garage parking. A clubhouse is also shared by all residents. Gulf and Bay Club Bayside condos for sale range from 959 square feet units which cost around $400,000, 1,495 square feet units at around $600,000, and 1,835 square feet units that can go as much as $999,000. One-, two- and three-bedroom floor plans are available. All units have a one-week rental minimum. Situated adjacent to Midnight Pass Road, Gulf and Bay Club Bayside is directly next to Crescent Beach and residents need only to walk for four minutes to get to it. Deeded access to the beach makes it even more convenient for the residents to get to Crescent Beach. Also nearby are shopping districts like Siesta Village and Crescent Village so residents need not worry about their shopping and dining options. Here you will find the current MLS listings for all the Gulf and Bay Club Bayside Townhomes for sale on Siesta Key.